Yes, You CAN! This Blog is for all Business Owners, small and large. Whether you are currently trying your hand at online sales or haven’t started yet. With a few short how-to videos or articles, you can have your online store up and running in a few hours today! 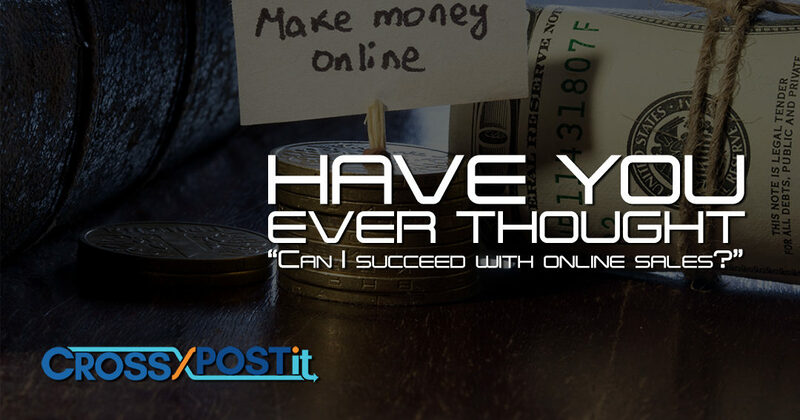 You can no longer afford not to have an online presence. Let’s be honest no one goes into business to take home the same paycheck every week. We start our own business because we want MORE. More Freedom, more Control, and more Money… So don’t let fear stop you from getting what you want. After you have read this Blog, my goal is to have you feel empowered to find out MORE. U.S. Online Sales for 2017 is projected to reach $440,400,000,000. Sales projected by mobile device alone: $114,500,000,000. If you have a brick and mortar shop, do you remember how long it took you to get up and running? In today’s world you can have a fully operational e-commerce store in less than a few hours. 91% of people polled have been driven to a store thanks to an online experience, with 60% of shopping taking place because of an email promotion, 59% cited an online coupon and 52% noted an online circular. It’s always a good thing when a customer walks through the door. Today’s retail experiences are bridging the gap between online and brick and mortar. A positive online experience can bring new customers into your shop. 72% of millennials research their options online before going to a store or the mall. Millennials literally have every store in the world in their pockets. There is no need to waste energy traveling to boring malls if there are no good deals out there. Instead Millennials like hanging out with friends, talking over Frappuccino’s, while shopping the best deals ONLINE all at the same time. TIME is important and that’s something they are not WASTING! Adults 50 years old and above represent the Web’s largest constituency, comprising 1/3 of the total 195.3 million Internet users in the U.S. and 2/3 of Americans 50-plus buy from e-retailers online.